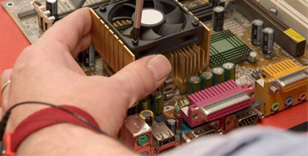 Detailed information and reviews of Wake County companies, shops and technicians offering computer repair, pc & laptop fix and maintenance services. Post your requirements and receive no obligation price estimates and quotes. Virus removal - Laptop computer - suspect virus. Quote for virus removal. (possible) DC jack replacement for laptop - I have a Gateway MT6831 and I believe the dc jack is bad. The laptop works fine on battery power. Integrated video - I believe my integrated video went out. I added a video card but can't access the bios to activate it.